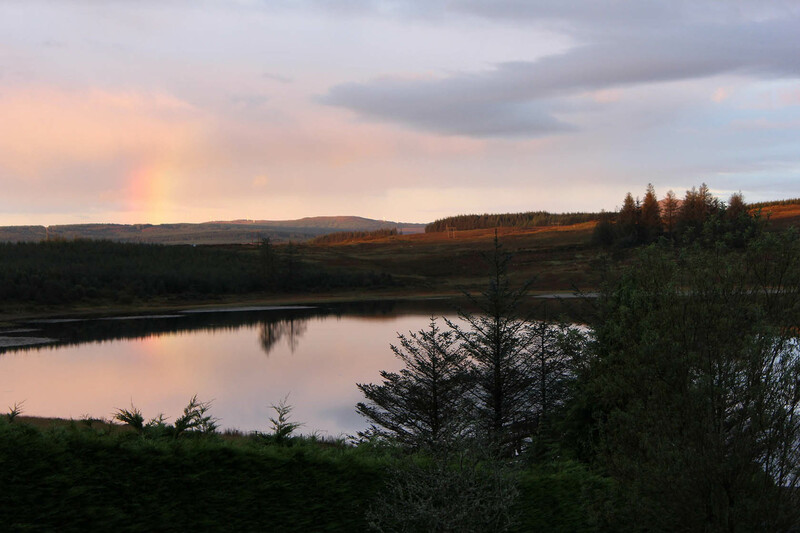 A small piece of heaven in the Irish isles, a rainbow descends onto Trusk Lough giving the skyline a warm glow. Close to the twin towns of Ballybofey/Stranorlar Trusk Lough offers a quiet tranquil setting with only a few ducks quacking in the background. Trusk Lough is picturesque with a clear horizon so it can act as a beautiful back drop to a sunset or colourful sky.